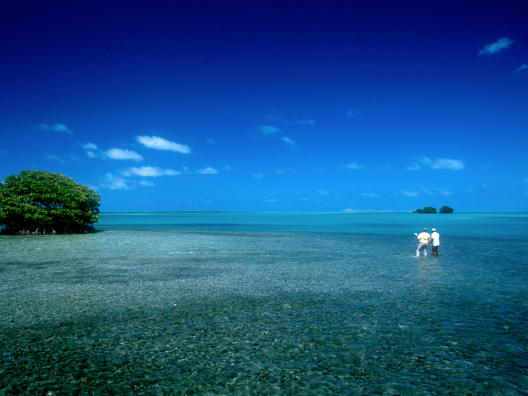 Introduction: Every now and then, especially after a wet and cold Salmon summer, we long again for a place in the sun where a part of the company can enjoy the pleasures of a tropical holiday and the keen fisherman has a splendid opportunity to fish for species like Bonefish, Tarpon, Barracud, Permit and many more. The Los Roques Archipelago, hundreds of islands, politically belonging to Venezuela but in fact closer to Bonaire, out of reach from hurricanes, is just the right option. The last time we fished there was in October. That was fantastic. So, why not try it again. 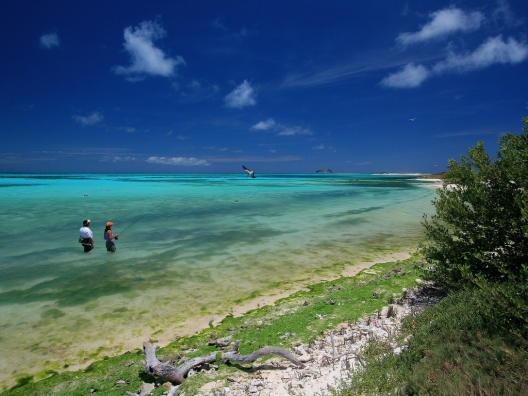 The fishing: Los Roques is one of the few places on this planet with a rather stable climate. Almost always sunny and not too much wind. Fishing is good all year round. 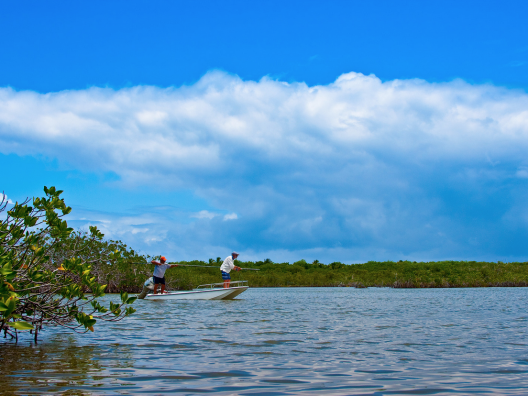 From the end of September tides change a bit to higher levels but then not only Bonefishing is still very well possible, but also bigger fish like Tarpon, Permit, Jacks, Barracuda etc come within reach. 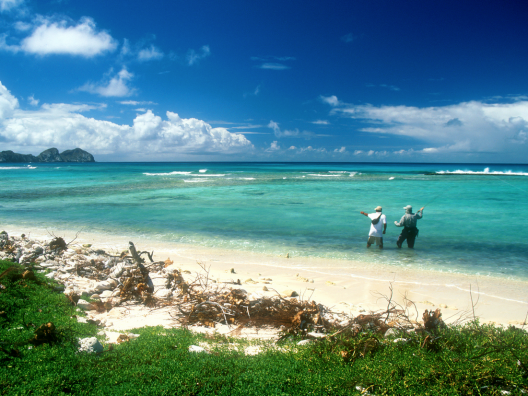 We will arrange couples in a way that both fly fishermen and spin fishermen will have their share of the fun. Fishing will take place in 2 ways: We will hire a boat with professional captain and guide adapted for 2 fishermen a couple of days and on the other days the lodge’s own boat will bring us, including our lunch etc., on the morning to a chosen island (we know some good ones!). There we’ll be fishing during the day and be picked up again in the late afternoon. Most of the fishing is done wading. 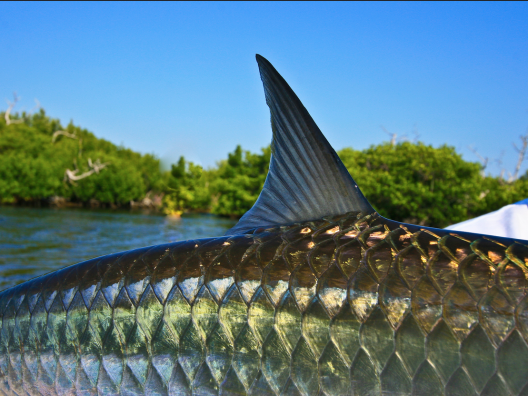 Equipment: We suggest bringing one #7 or #8 rod for bonefish and one #9 or #10 for tarpon and permit. High-performance reels with a good brake system are required, capable of holding 200 – 250 yards of 20-pound backing. 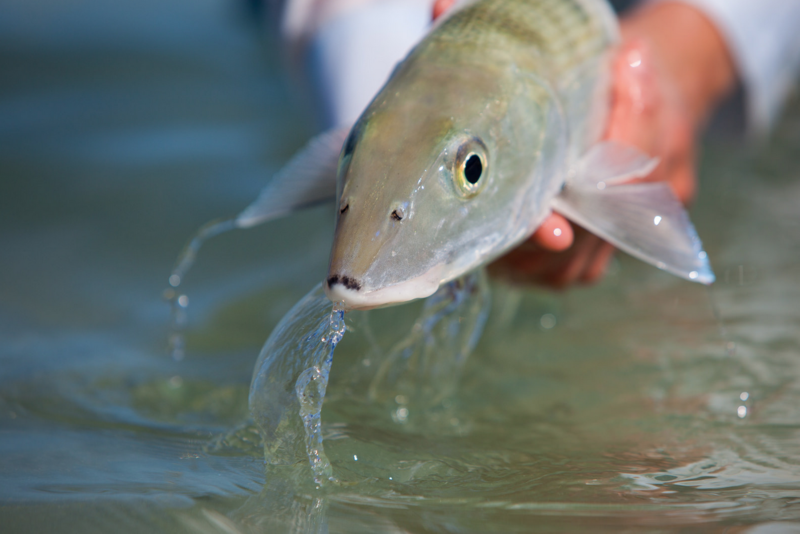 Weight forward floating fly lines; an Intermediate line is recommended for tarpon. For bonefish and permit, use 12-foot knotless leaders, and 12-pound fluorocarbon shock tippet. 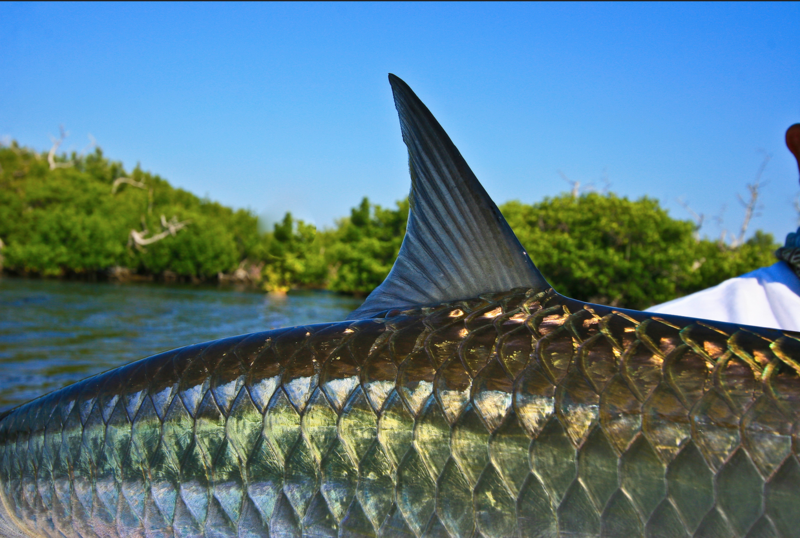 For tarpon we recommend 50 or 60 pound fluorocarbon, and in some cases a 80 pound shock tippet. 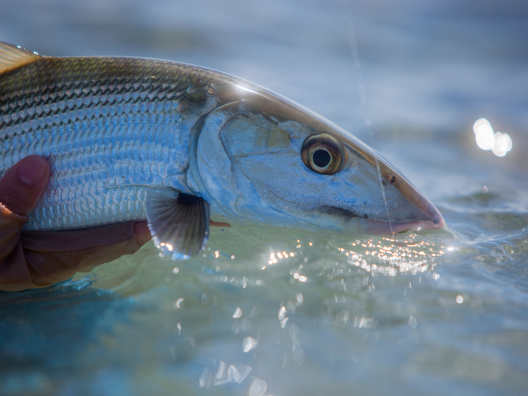 Bonefish flies should be light-weight and with a hook protection: Clouser Minnow, Crazy Charlie, Bonefish Special, Gotcha and small crabs tied on hooks #4 or #6, sand and light-brown (unweighted eyes). The “Gummy Minnow” is a terrific pattern for high tide. Permit: Rag Head Crab, Brown Special, Velcro Crab and Del ́s Merkin tied on hooks #2 and #4. For tarpon and snook: streamers, deceivers and seaducers on hooks #1/0 brown and orange, black and yellow, orange and yellow, olive and white, Black Death and Purple Death. 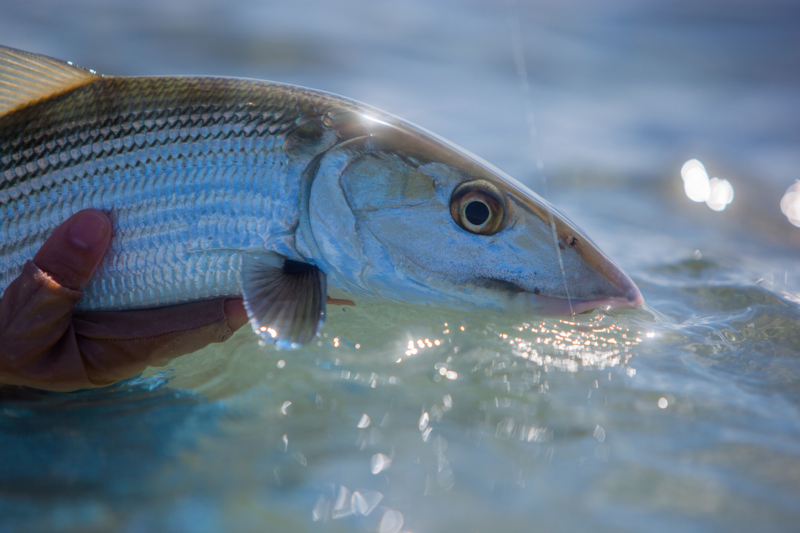 The “Gummy Minnow” #1/0 is a terrific pattern for tarpon. The Lodge: Our lodge (superb Posada!) is directly on the beach and due to its position offers wonderful sunsets. It is famous for its personal service, exquisite food (lobster? ), refreshing drinks and excellent guides. It has 8 double rooms and 2 terraces in teak overlooking the sea. It has, next to the commercial fishing boats, a boat that can be used for free by the guests. In the morning it will bring you to one of hundreds of islands of your choice, including food, drinks, chairs, sun screen etc and in the late afternoon it will pick you up again. Almost all of these places allow fishing from the beach. 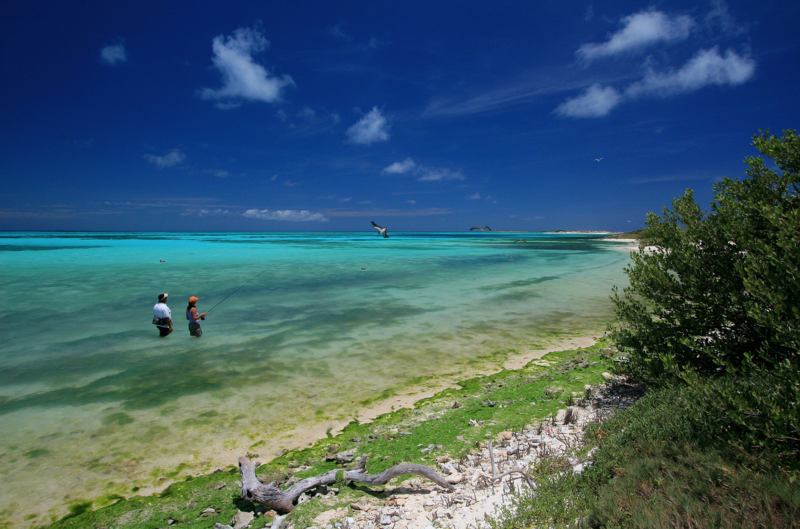 Non-Fishing Options: Los Roques is in itself an extremely popular and exclusive destination and should be considered a perfect family Caribbean retreat that just happens to host some worldclass saltwater fly fishing. Powdery sand and sun rule and the options for an idyllic sunshine holiday beckon. Whilst some non-fishing partners prefer to be left to their own on a secluded beach or island there is plenty of space on a boat and a chance to see all the archipelago has to offer. 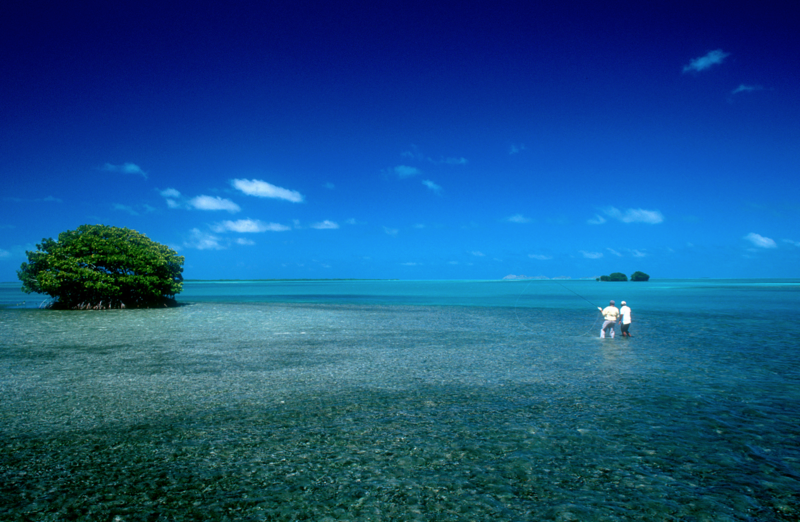 Almost all the population lives on the island of El Gran Roque, and this is where the guest accommodations and airstrip are located. Just three sandy streets wind between colourful family homes, tiny stores, and the posadas (inns). The central Plaza Bolivar is ground zero for all community celebrations and the place for lively social gatherings. Here tourists and locals mingle to dance barefooted, a potpourri of salsa, rock-n-roll, tango and popular tunes played from a turntable that is rolled onto the plaza most weekends and on holidays. 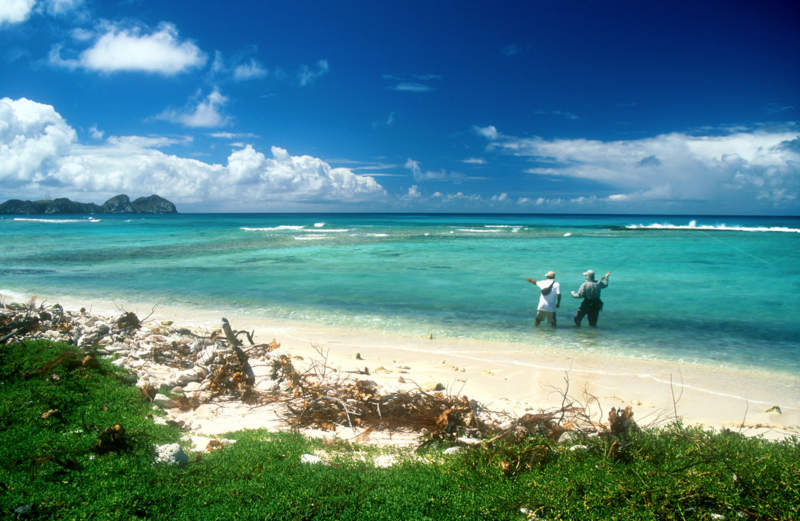 Diving, Surfing and bird watching are very popular activities. 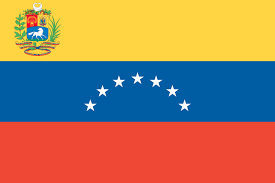 Logistics: On the first day (Friday) we will fly from Amsterdam, via Paris to Caracas with arrival at 1410 l.t. At 1700 Aerotuy (overweight costs $ 0,50/lbs) will fly us in half an hour to Gran Roque. After having paid the National Park entrance fee ($ 25) we walk, with help for the luggage carrying, in a few minutes to our lodge, which will serve us Full Board and let us enjoy a terrific sunset from the terrace. 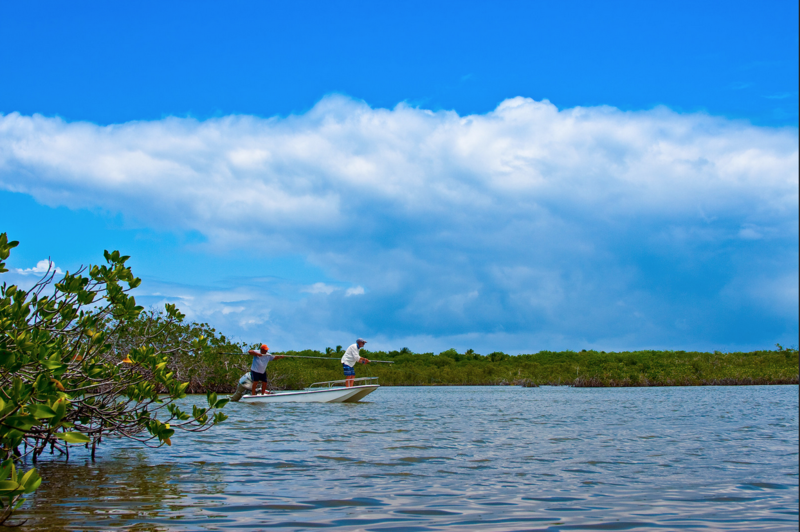 We will have 8 nights and 7 full fishing days here from which 3 fully guided and 4 using the lodge’s boat. On the last morning (Saturday) after a quick breakfast Aerotuy flies us back at 0840 to Caracas, at 1610 followed by the long haul to Paris and Amsterdam, with arrival the next morning at 1050. So, departure on Friday and return the next week on Sunday. Included: Transfers Caracas Airport International-Domestic vv, Return flights Caracas-Gran Roque, 9 nights Full Board in Lodge, 3 days of professionally guided fishing, 4 days use of house boat for private fishing. Not included: Int. flights (~ Euro 840), entrance fees, local taxes, excess luggage fee, drinks, tip for guides, insurances, costs of unexpected program changes.